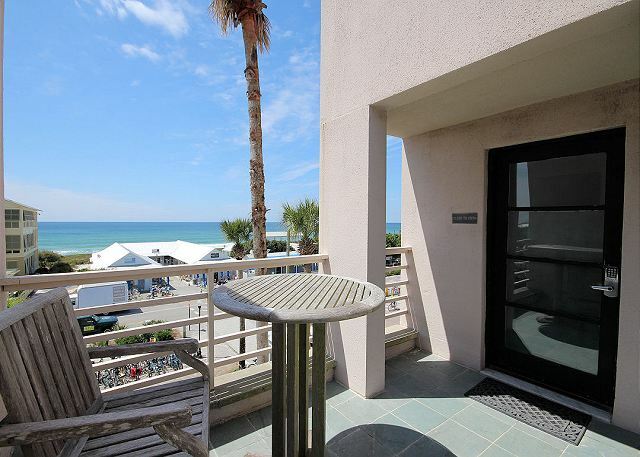 Serene and simplistic, this 1 bedroom/ 1 bath condo overlooks the town of Seaside and offers gorgeous ocean views from your own private balcony! Situated above Dawson's Yogurt in Seaside's town square, Close to Eden has a larg king master suite with private bath/shower combo downstairs. Also downstairs is a half bath. 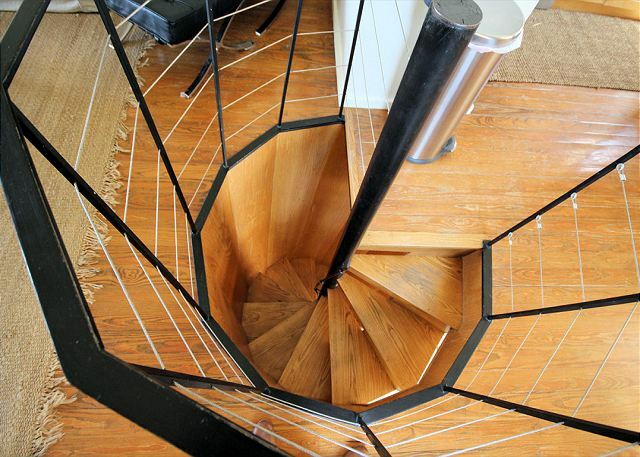 Up the spiral staircase you'll find the open living room with vaulted ceilings, extra seating, and flat screen TV. Also upstiars is a gourmet stainless kitchen with sub-zero refridgerator and bar seating for 2. 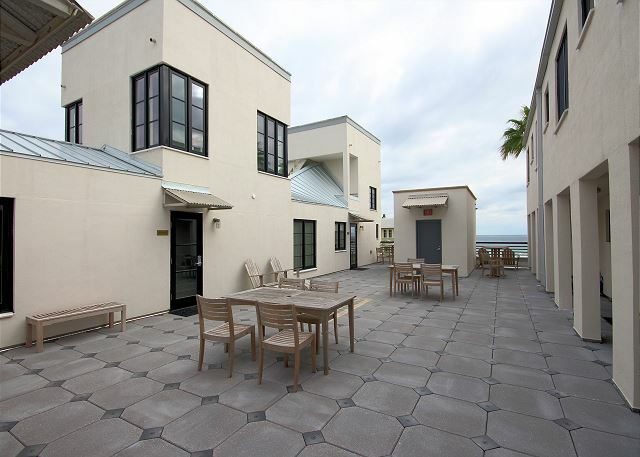 French doors take you out onto your private balcony overlooking the town square. Enjoy one of Seaside's theatrical or musical performances from your own private balcony or sit back and watch the sun set over the gulf. Either way, you'll be Close to Eden when you stay here! *^^please note that this condo does not have a washer/dryer on site and does not have WIFI.